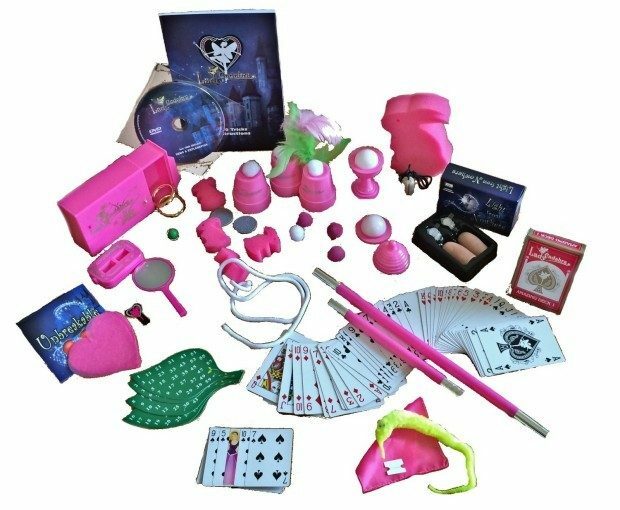 Head over to Amazon and get the Lady Cadabra 200 Trick Pink Magician Set w/ Instructional DVD Only $24.99 (Reg. $50) Shipping is FREE with Prime or on orders of $35+. Don’t have Prime? Try a 30 day FREE trial! Kits hold more than 30 specialized props that can be used for 200 different tricks! Comes complete with an illustrated booklet and DVD with step by step instructions for every trick. Amazing illusions and crafty slight-of-hand tricks for the young magician to practice and perform.